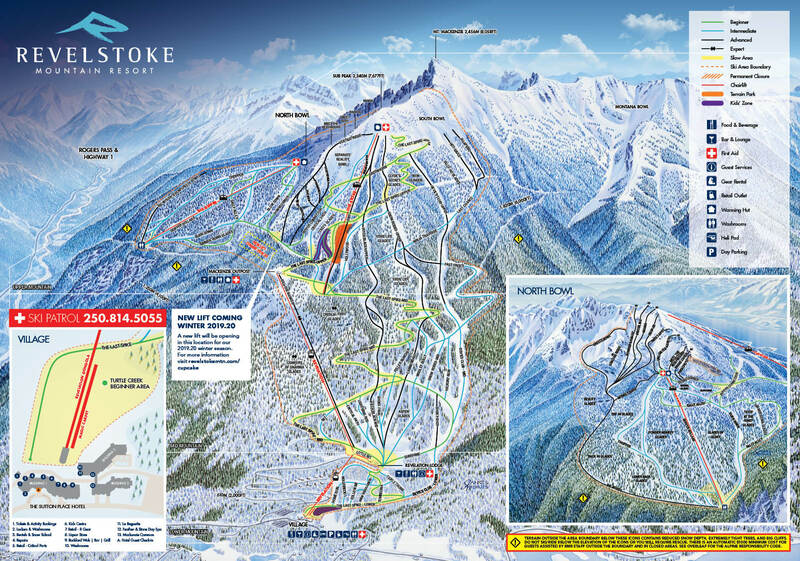 Download a winter trail map for Revelstoke Mountain Resort. View our walking trails and scenic viewpoints to help plan your summer visit to Revelstoke. Filter run ability levels and view daily grooming on the frontside of the mountain. Filter run ability levels and view daily grooming in North Bowl and the Ripper area. With the most vertical in North America and 3,121 acres to choose from, it's easy to find yourself feeling overwhelmed. Hire one of our Snow School Pros to take you on a private tour.